The 16 Days of Action campaign is designed to promote global awareness of Gender Based Violence and the huge damage it causes. ChildFund is actively working to challenge stereotypes which promote GBV through its innovative ‘Shine a Light’ Programme. Gender-based violence (GBV), as its name suggests, is the perpetuation of violence against a person because of their gender. It’s also one of the least recognized and most under-reported barriers to child development and survival. ChildFund is dedicated to the protection of children from all forms of physical, sexual and psychological violence, coercion and exploitation. GBV is a particularly insidious type of harm inflicted on children because often times it is embedded within cultural norms, and thus becomes both tolerated and accepted. A particularly damaging form of GBV is Female Genital Mutilation (FGM). FGM is a violent, traumatising procedure that violates the human rights of millions of women and girls worldwide. According to a recent report, as many as 130 million girls and women have been harmed by FGM in the 29 countries across Africa and the Middle East, where it is especially prevalent. Despite the fact that the majority of women in these countries think the practice should be eradicated, it is estimated that a staggering 30 million girls are at risk of FGM before the age of 15 (UNICEF 2014). ChildFund Ireland, as a member of the Irish Consortium on Gender Based Violence, wants to see the elimination of this barbaric practice, and ensure the protection of all children from GBV. ChildFund actively supports the promotion of GBV awareness, and the damage it can cause to the lives of young girls and women everywhere. ChildFund’s ethos is to avoid a top down panacea, instead dedicating itself to working organically within communities to address issues of concern affecting the well-being of children and their careers. One mechanism that has been developed by ChildFund to engage with people in places where GBV may be particularly embedded in local culture is through its Shine a Light programme. Launched in 2012, Shine a Light is a bold and imaginative initiative that seeks to raise awareness of GBV and counter negative stereotyping through tailored educational plans. It is designed to tackle the kind of embedded cultural norms and values that allow GBV to become normalised, and to thrive. The programme targets four countries; Dominica, Indonesia, Liberia and Senegal. The project’s goal is to raise awareness of gender-based violence, to assist child survivors of sexual abuse and help communities develop child-protective systems and responses. The nature and causes of gender-based violence (GBV) vary across the four countries, so ChildFund tailored the program in each territory accordingly. In Indonesia, GBV is on the rise among young people, especially within dating relationships, so ChildFund worked through local partner organizations to educate youth about violence between intimate partners. 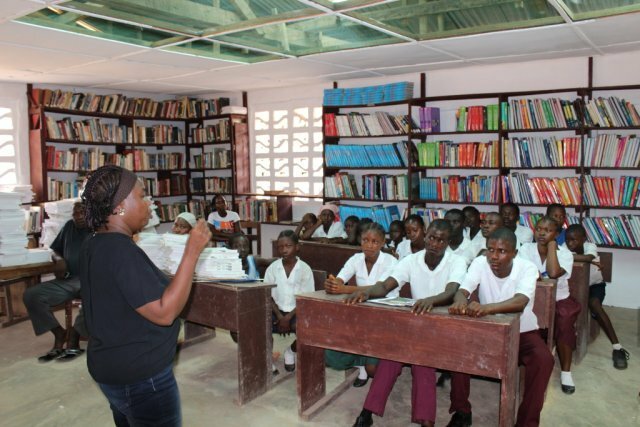 The participants in turn served as peer educators in their communities, leading age-appropriate forums with children and youth from several schools. In doing so, the youth facilitators learned that peer involvement makes students listen more closely than to adults dictating rules. Given the success of the programme in Central & Western parts of the country, it is being expanded into the East, which is characterised by gender norms that condone violence, especially within the home. One area of specific focus has been a survey on violence within relations, with 70 youths tasked with collecting valuable data on attitudes towards domestic violence within dating relationships, and gender equality – as well as awareness of services for people seeking help for GBV related issues. Results of the survey will be used to design a subsequent safe dating programme in Eastern Indonesia, and will support the government in accessing up to date data. These variations of Shine a Light are just four examples of how ChildFund is working pro-actively and innovatively in tailoring its programs to local needs and cultures, in order to be as dynamic and effective as possible in tackling FGM. While predominantly GBV comes in the form of violence inflicted by men upon women and girls; millions of boys also suffer violence and suffering because of their gender. ChildFund Ireland is proud to be a member of the Irish Consortium of Gender Based Violence, and to highlight the work we as are doing in the developing world to promote gender equality and best-practice for young people. Our commitment is to protecting children from GBV, and from violence in all its malevolent guises. “I was a drop-out by my second year of junior high school. I didn’t like the school, the other students and the teachers. 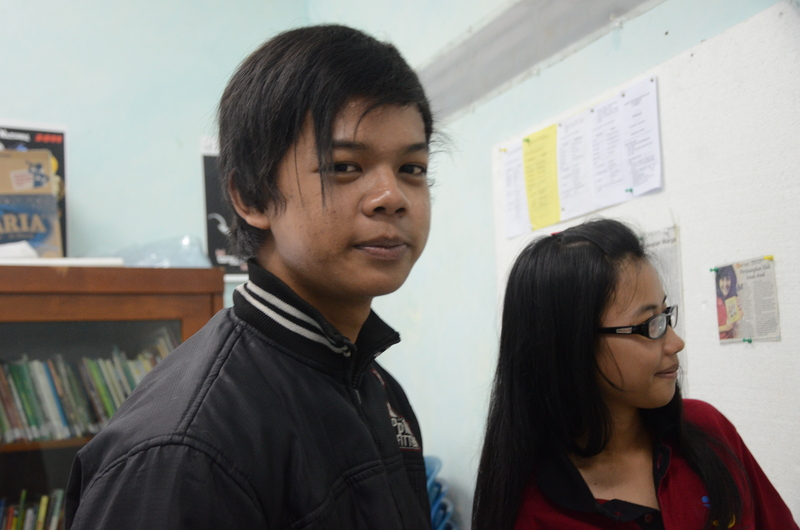 They said I was naughty, and I was bullied too,” says Chandra, a 16-year-old boy from Semarang, Central Java, Indonesia. As a member of the Child Forum, Chandra participated in a recent workshop on gender-based violence, part of the Shine a Light project. In an effort to prevent and respond to gender-based violence against children, ChildFund has worked through local partners to educate youth on the issue of violence between intimate partners — a growing problem in Indonesia. 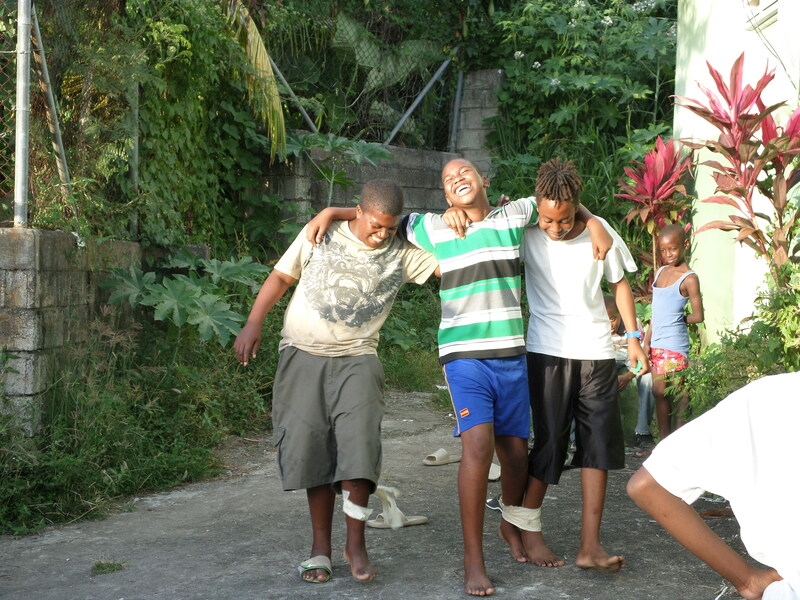 The participants in turn serve as peer educators in their communities. More and more, young people are experiencing violence in dating relationships, not just marriages. These programs are showing Indonesian youth how to manage these relationships in safe and healthy ways, preventing violence before it starts. The youth facilitators led group discussions with 80 children and youth from several schools. The groups were divided by age: 10-12, 13-17 and 18-24. Helping children and youth learn about safe and healthy dating practices involves establishing good communication between partners, understanding gender equality and stereotypes, creating boundaries, expressing feelings and perceiving signs of possible dating violence, among other lessons. The physical and emotional abuses are also considered as normal for them. They didn’t realize that when they tease or make fun of someone, it could hurt the other person. The facilitators have learned that peer involvement makes students listen more closely than to adults dictating rules. Through the Child Forum, ChildFund also provides leadership training for youth to encourage and support them to be the leaders and role models among their peers. With youth facilitators in the students’ communities, more young people will hopefully feel more comfortable seeking the help they need. ChildFund is empowering these three young people and others like them, to spread a positive message of respect for gender rights and equality throughout their local communities. They are also helping to develop safe practice guidelines and provide valuable data to help inform policy decisions. Their inspiring work can help sow the seeds for a more tolerant and just society, where girls can grow up in an environment free from violence and coercion, and free too to make positive choices that in their own best interests.